Colonel Gordon Debenham Dailley was born July 24th, 1911 in Winnipeg, Manitoba. He attended St. John’s College and the University of Manitoba and began his military career in 1940. In 1943 he attended the Canadian War Staff College and then served in England. He held a number of executive positions at Army Headquarters in Ottawa and on the United Nations Armistice Commission in Korea. In 1940, he married Miss Virginia Johnston a ballet dancer from Texas and they had four children, Don, Susan, James and Virginia. He was promoted to the rank of Colonel in 1955 when he was assigned to Belgrade, Yugoslavia, as Canadian Military Attaché. Colonel retired from his military career in 1964 and became the Co-Director of the New Brunswick Centennial Administration. Before joining the army, Colonel was active in sporting circles in Canada and England. He was a “playing-Captain” of England’s Olympic Hockey Team, which won the Olympic title and gold medal in 1936. In mid 1968 Colonel Dailley began pursuing his dream of creating an exciting new attraction in Canada — a drive-through wildlife park dedicated to the conservation of declining wildlife species. He selected a 700-acre parcel of land in Rockton, Ontario and African Lion Safari & Game Farm Ltd. was founded. On Friday August 22, 1969 the safari opened its doors to its first visitors and today 50 years later, Colonel’s dream continues. 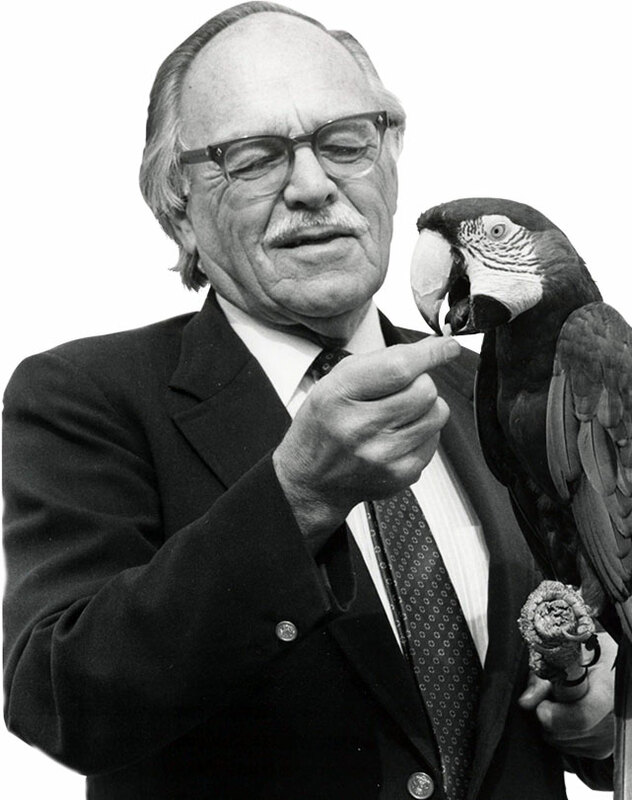 Colonel Dailley was an active member of many associations and a founding member of two organizations that still exist today; the Canadian Association of Zoos and Aquariums (CAZA) and Attractions Ontario. Colonel Dailley passed away in the spring of 1989 at the age of 77. Attractions Ontario created a scholarship (The Colonel Don Dailley/Attractions Ontario Scholarship) in his memory. Two scholarships are awarded yearly to second or third year students of a post-secondary tourism program in Ontario. The students must be interested in pursuing a career in the attractions sector of the tourism industry. The scholarship commemorates Colonel’s outstanding contributions and commitment to attractions and Ontario tourism.